Paranasal – or pyriform aperture – implants are used to enhance the bone structure around the nose, creating a more ideal appearance and better balance between facial features. 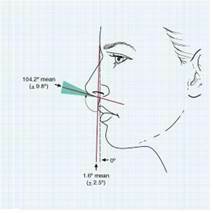 The average face is convex, curving outward with the apex at the top lip, as shown in the illustration below. 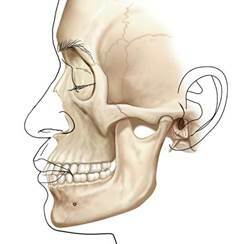 Some individuals, however, have less prominent midface bone structure, which creates a flat or even concave facial shape. 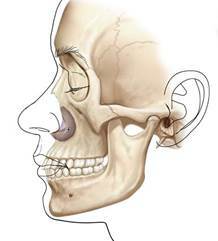 Building up the skeleton around the nasal opening – or pyriform aperture augmentation – will enhance appearance when the lower part of the midface is flat or concave. It supplements the midface bone structure, corrects the angle of the upper lip, elevates the tip of the nose, and minimizes laugh lines (known in medical terms as the nasolabial fold). 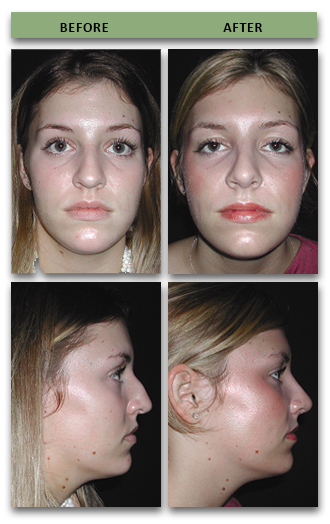 The patient below underwent pyriform aperture augmentation to transform her flat lower midface. Paranasal implants supplemented her midface bone structure, giving her face the desired convex shape and enhancing her facial proportions. Because they change the proportions of facial features, paranasal implants can often be a useful addition to aesthetic rhinoplasty. 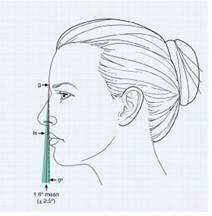 In patients with a flat or concave face, the nose appears larger than it would be if the soft tissues next to it were more prominent. 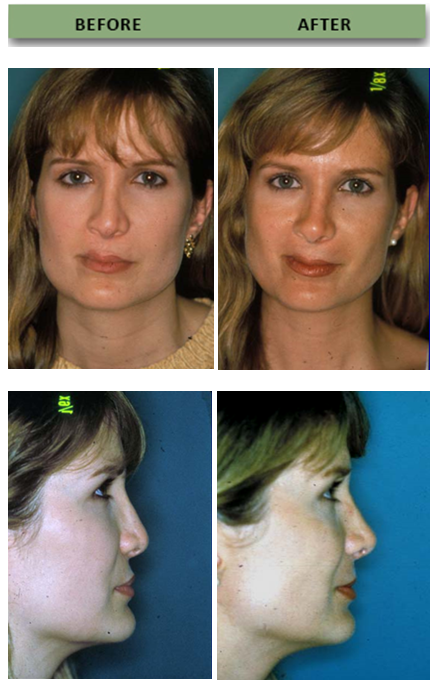 Pyriform aperture augmentation in patients with this facial shape allows a less aggressive surgical approach to the nose while providing an overall better facial balance. 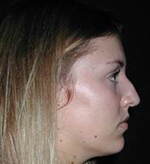 This paranasal implant and rhinoplasty patient’s previously flat lower midface is now convex, the nasal tip is elevated, the angle of the upper lip is increased, and the nasolabial fold is less prominent. Read more about paranasal implants or schedule a consultation at info@dryaremchuk.com. 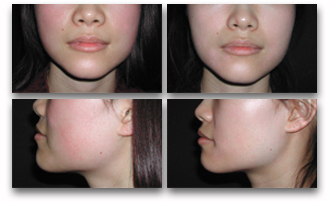 * This patient underwent paranasal augmentation to change the projection of her lower midface. Note how the paranasal area changed from a concave to a convex shape. 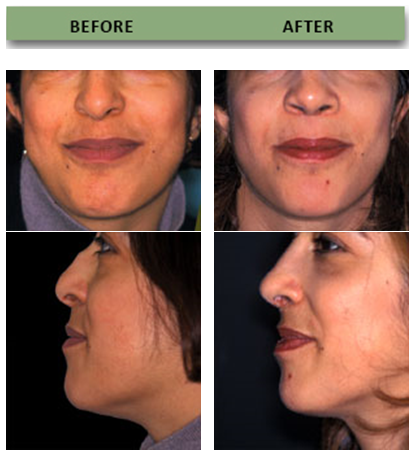 * This patient underwent rhinoplasty and paranasal augmentation. 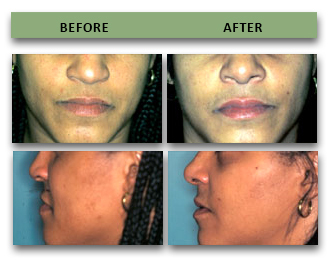 * This patient underwent rhinoplasty and paranasal augmentation. Note how the area around the base and the nose is more projecting after paranasal surgery augmentation.